The Pittsburgh Pirates visit Miller Park on Tuesday, September 12, 2017 to play the Milwaukee Brewers. The probable starters are Gerrit Cole for the Pirates and Brent Suter for the Brewers. The opening line for this matchup has Pittsburgh at +111 and Milwaukee at -121. The Pirates have a 58-81-5 over/under record and a 75-69-0 run line mark. The Brewers are 76-67-0 against the run line and have a 61-75-7 over/under record. The Pirates have a 67-77 overall record this season. Starting pitcher Gerrit Cole has a 11-9 record with an earned run average of 3.93 and a WHIP of 1.22. He has 168 strikeouts over his 181 innings pitched and he's given up 174 hits. He allows 8.7 hits per 9 innings and he has a FIP of 4.08. The bullpen has an earned run average of 4.03 and they have given up 464 base hits on the year. Teams are hitting .248 against the bullpen and they've struck out 437 hitters and walked 177 batters. As a team, Pittsburgh allows 9.2 hits per nine innings while striking out 7.8 batters per nine innings. They are 13th in the league in team earned run average at 4.29. The Pirates pitchers collectively have given up 1,319 base hits and 613 earned runs. They have allowed 161 home runs this season, ranking them 26th in the league. Pittsburgh as a pitching staff has walked 438 batters and struck out 1,112. They have walked 3.1 men per 9 innings while striking out 7.8 per 9. They have a team WHIP of 1.37 and their FIP as a unit is 4.19. As a team Pittsburgh is hitting .245, good for 28th in the league. The Pirates hold a .387 team slugging percentage and an on-base percentage of .320, which is good for 19th in baseball. They rank 27th in MLB with 8.3 hits per game. Andrew McCutchen is hitting .275 with an on-base percentage of .364. He has 139 hits this season in 505 at bats with 75 runs batted in. He has a slugging percentage of .469 and an OPS+ of 117. Josh Bell is hitting .259 this year and he has an on-base percentage of .336. He has totaled 127 hits and he has driven in 83 men in 490 at bats. His OPS+ is 111 while his slugging percentage is at .480. 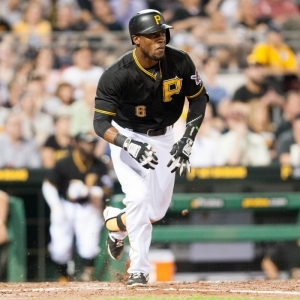 The Pirates have 1,192 hits, including 223 doubles and 137 home runs. Pittsburgh has walked 468 times so far this season and they have struck out 1,066 times as a unit. They have left 1,020 men on base and have a team OPS of .707. They score 4.12 runs per contest and have scored a total of 593 runs this year. Milwaukee has a 75-68 overall mark this year. With an earned run average of 3.55, Brent Suter has a 2-2 record and a 1.30 WHIP. He has 51 strikeouts over the 63.1 innings he's pitched. He's also given up 62 hits. He allows 8.8 hits per nine innings and his FIP stands at 4.02. The bullpen has an earned run average of 4.08 and they have given up 456 base hits on the year. Teams are hitting .244 against the Brewers bullpen. Their relievers have struck out 523 batters and walked 239 opposing hitters. As a team, Milwaukee allows 8.6 hits per nine innings while striking out 8.4 batters per nine innings. They are 8th in the league in team earned run average at 4.03. The Brewers pitchers as a team have surrendered 1,223 base knocks and 571 earned runs this season. They have given up 167 home runs this year, which ranks 24th in Major League Baseball. Milwaukee as a staff has walked 504 hitters and struck out 1,191 batters. They give up a walk 3.6 times per 9 innings while they strike out 8.4 per 9. Their team WHIP is 1.36 while their FIP as a staff is 4.31. As a team, they are batting .248, good for 23rd in the league. The Brewers hold a .431 team slugging percentage and an on-base percentage of .319, which is good for 21st in baseball. They rank 23rd in MLB with 8.4 hits per contest. Orlando Arcia comes into this matchup batting .271 with an OBP of .319. He has 124 hits this year along with 48 RBI in 458 AB's. He maintains a slugging percentage of .408 with an OPS+ of 88. Domingo Santana is hitting .272 this season and he has an OBP of .366. He has collected 127 hits in 467 at bats while driving in 69 runs. He has an OPS+ of 118 and a slugging percentage of .480. The Brewers as a unit have 1,197 base hits, including 236 doubles and 202 homers. Milwaukee has walked 465 times this year and they have struck out on 1,401 occasions. They have had 948 men left on base and have an OPS of .750. They have scored 4.53 runs per game and totaled 648 runs this season.